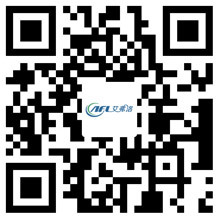 The Cause of Axial Fan’s Unstable Flow - Hangzhou Airflow Electric Appliances Co.,Ltd. Stall and surge affect axial fan performance, blade as well as output, and therefore are undesirable. They occur due to improper design, fan physics, and are usually accompanied by noise generation. The reason is the separation of the flow from the surface of the blade. As the entrance angle increases (during low velocity flow), the flow pattern changes and separation occurs. This is the first stage of stagnation, and through this separation point, flow separation leads to the formation of vortices and flows back in the separated region. Many axial fan failures occur in the control blades, axial fans are locked in the stationary position, and the frequency converter (VFD) is installed. Some axial fan VFD are not practical. Axial fans with severe instability shall not operate at the blade angle, speed, mass flow rate, and pressure of the fan exposed to stall conditions. System surge: When the system resistance curve of the fan intersects with the hydrostatic pressure curve, a similar slope or parallel occurs. Rather than intersect at a certain point, the curve intersects the system's surge in some areas. These characteristics are not observed in axial fans. Fan surge: This unstable operation is caused by the development of a pressure gradient in the opposite direction of flow. The maximum pressure is observed at the minimum pressure at the opposite side of the discharge and discharge side of the impeller blades. When the impeller does not rotate, the adverse pressure gradient in the opposite direction of the fan and pump flow. As a result, vibrations of the fan blades vibrate and produce noise. Parallel: This effect is visible only in the presence of multiple fans. The airflow capacity of the fan is compared and connected at the same exit or at the same inlet condition. This can cause noise, especially when the fan is connected in parallel". To avoid beatings, use different inlet conditions, fan speed differences, etc.